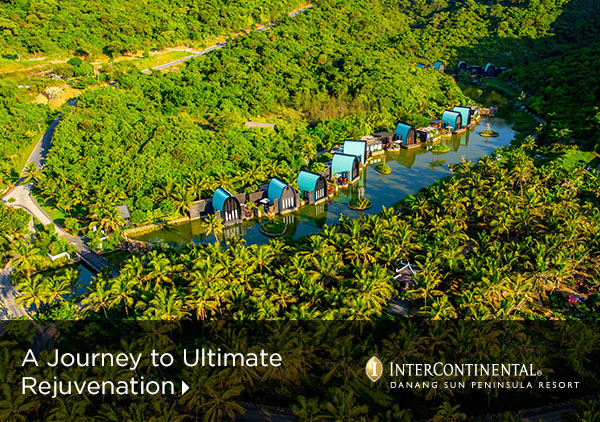 Located in Da Nang, InterContinental Danang Sun Peninsula Resort is perched on a lush hillside overlooking a dazzling private bay in Son Tra Peninsula Nature Reserve. 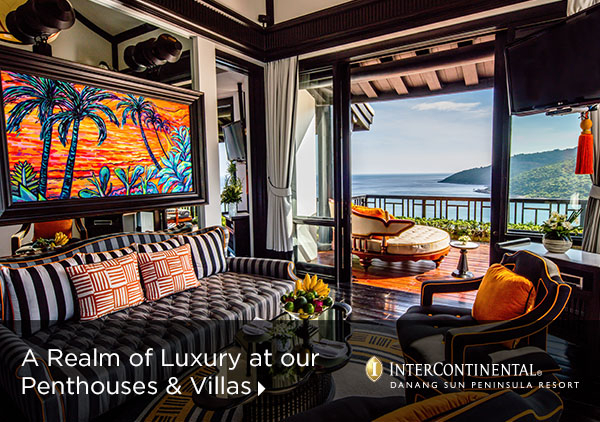 The closest airport is Da Nang International Airport, which is a 40-minute drive from the hotel. 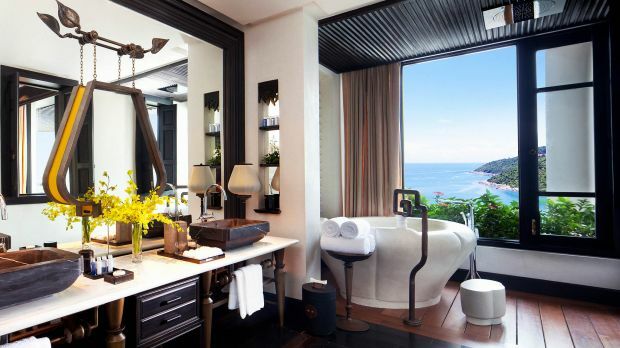 A place where myth meets luxury, InterContinental Danang Sun Peninsula Resort is set amidst a colorful tapestry of jungle, ocean and mountains. 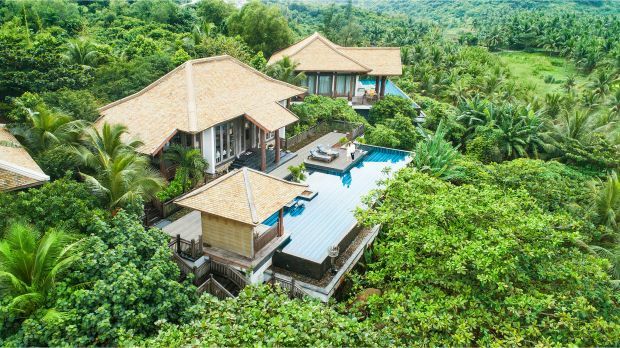 The resort features traditional Vietnamese architecture with classic French touches that, coupled with the stunning topography of the landscape, give it the quaint feel of a hilltop village. 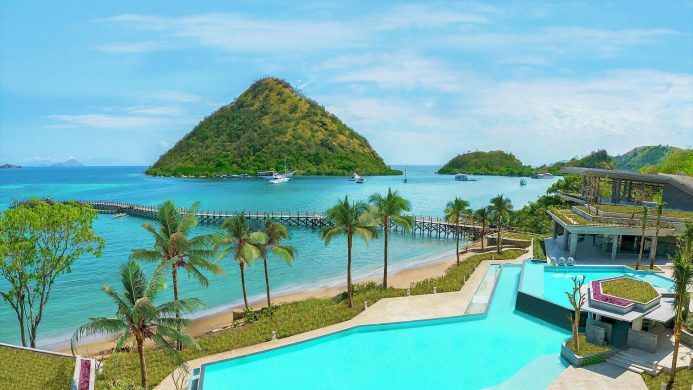 If you’re looking for a resort that has it all, you’ve come to the right place. 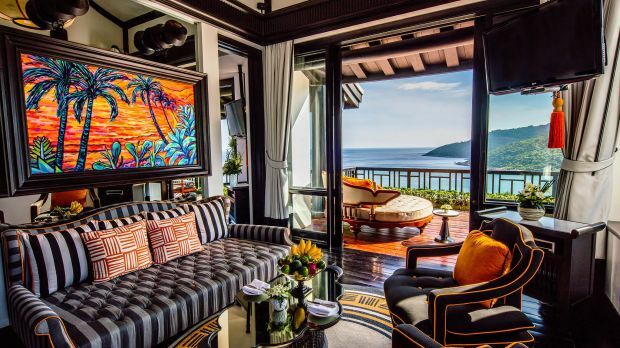 All 201 guest rooms and suites blend Vietnamese motifs with a bold black and white color, to striking effect. Designed by star architect Bill Bensley, each space comes complete with private wooden balconies, freestanding stone tubs and beds made for deep sleep. 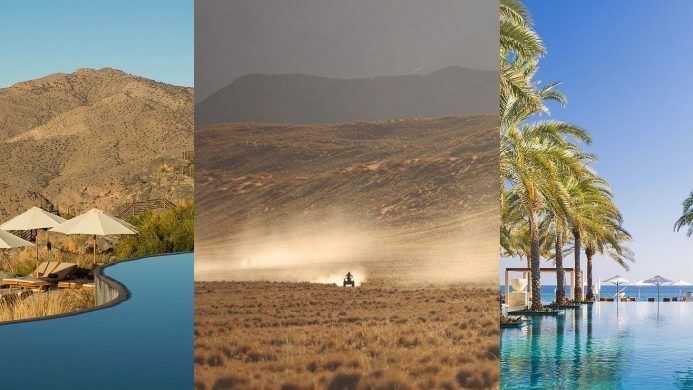 Opt for the Seaside Villas on the Rocks to enjoy sweeping views of the coastline from the comfort of your personal infinity pool. 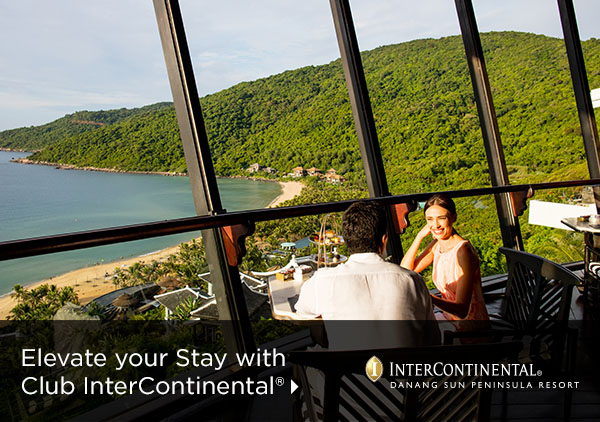 While no two days are alike at InterContinental Danang Sun Peninsula Resort, you can opt to start your morning with an energizing tai chi class on the resort’s picturesque private beach, followed by a sumptuous buffet breakfast in the colorful Citron restaurant. If you want to take in some breathtaking views of nearby Danang, a trip to the top of Monkey Mountain can be arranged by the concierge. Alternatively, discover culinary artistry at La Maison 1888, by three-star Michelin chef Pierre Gagnaire. Fine French cuisine is taken to the next level at this restaurant, which is already being hailed as the number one gastronomic destination in Vietnam. Bon Appetit! 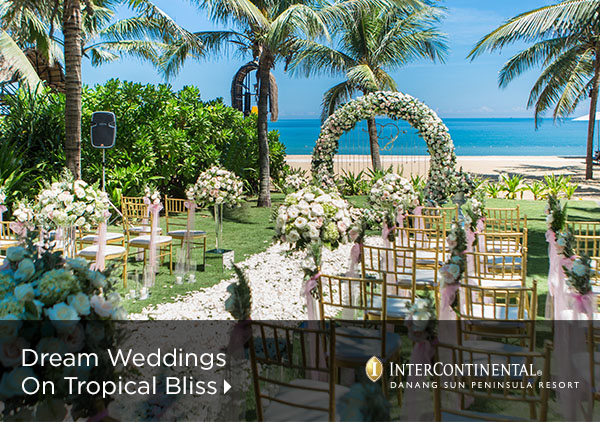 Send an availability request with your requested dates to the InterContinental Danang Sun Peninsula Resort. Features 1 King bed and ocean views. Features 2 Queen beds and ocean views. Features 2 Queen beds, club access and ocean view. Features 1 King bed, terrace and ocean views. Features 1 King bed, terrace and ocean view. One bedroom suite features spacious living area and ocean view. Two bedroom villa with sea views. Two bedroom residence with sea views.